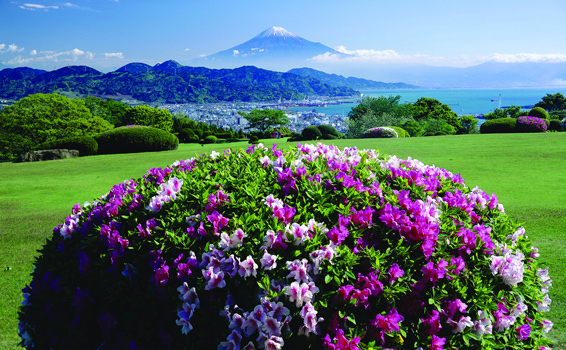 Take in views of mountains and sea, connect with history, enjoy amusement parks featuring plants and animals, and explore the world-class manufacturing of Central Japan. This attractive route is packed with visits to places in Central Japan which are sure to please children and adults alike. The ninja were a special group of soldiers trained in ninjutsu and employed for undercover operations such as intelligence gathering, sabotage, infiltration and assassination. The ninja were said to have begun their activities in the year 1100, and the Iga region of Mie prefecture and Koga region of Shiga prefecture were particularly well known for the ninja. 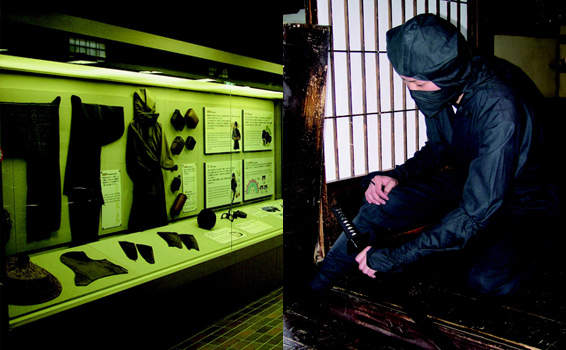 The Iga-ryu Ninja Museum is the place to see, touch and experience the allure of the ninja. 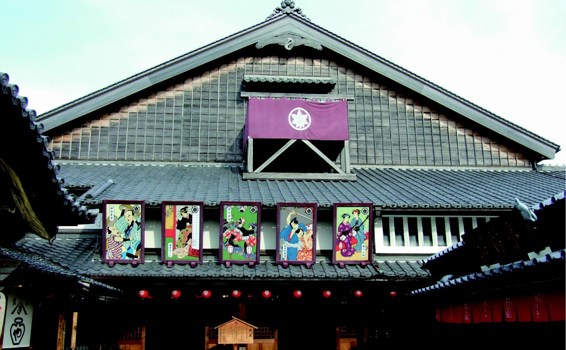 In this museum, you’ll find the Ninja House, Ninja Experience Hall and Ninja Tradition Hall where you can learn about the ninja through the various exhibits. The exciting ninja action show is also highly recommended. 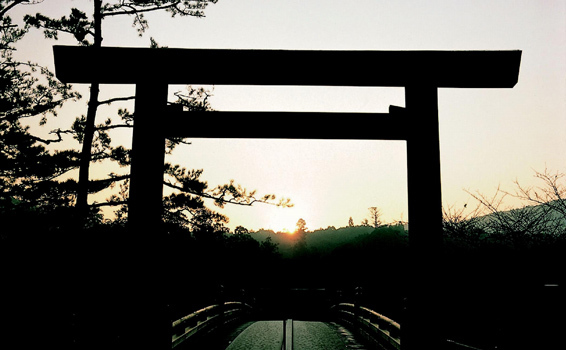 Ise Jingu is the most sacred Shinto shrine in Japan among the approximately 80,000 shrines nationwide, and is said to be the spiritual home of the Japanese people. Ise Jingu consists of 125 shrines including the two large shrines, Kotai Jingu (inner shrine) and Toyouke Daijingu (outer shrine). It has long been the customary practice to visit the outer shrine first, followed by a visit to the inner shrine. Most of the souvenir shops and restaurants that line the streets of Oharaimachi located in front of the Torii gate to the inner shrine are made of wood and still retain its old charm. Okage Yokocho is a lively district in Oharaimachi located in front of the Torii gate to the inner shrine of Ise Jingu. 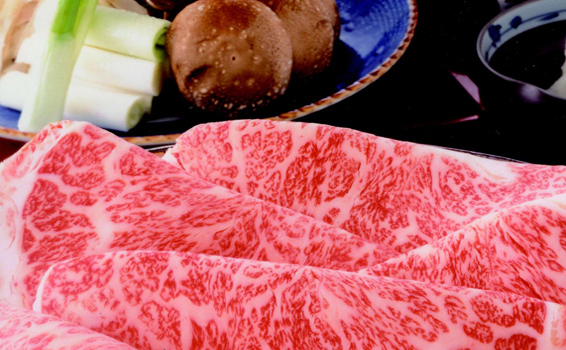 Here you can eat culinary specialties of Ise and buy well-known local products. 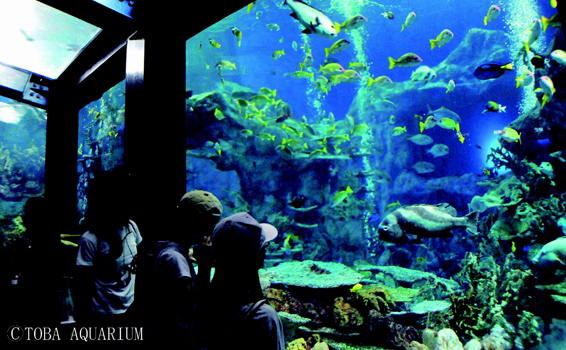 The colossal Toba Aquarium ranks among Japan’s outstanding aquariums. The aquarium is divided into 12 zones that reproduce various natural environments housing 1,200 species and 30,000 individual sea and river creatures. This is the only aquarium in Japan where you can see the dugong which is the source of mermaid myths. At Toba Aquarium visitors can also enjoy many fun events such as a penguin parade, sea otter feeding show, and comical performances by walruses. Mikimoto Pearl Island was the first place in the world that the founder succeeded in cultivating pearls. 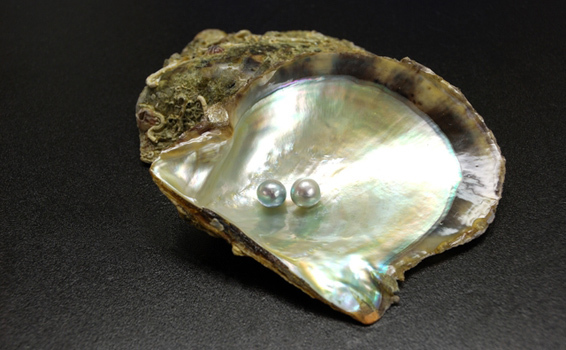 Enjoy shopping for high-grade pearls and other items. 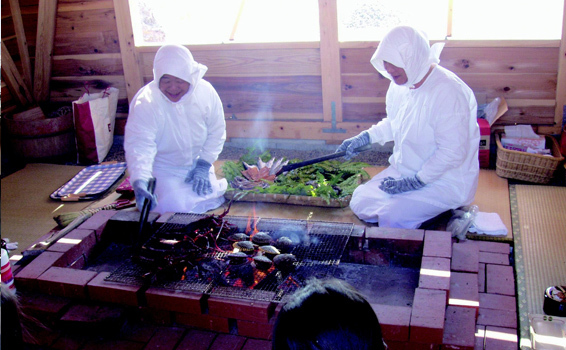 Through the Ama hut experience, sit around the fire pit with the Ama (women divers of Japan) who will serve you seasonal seafood cooked to perfection. Iragomisaki is situated at the tip of Atsumi peninsula facing the Pacific Ocean. 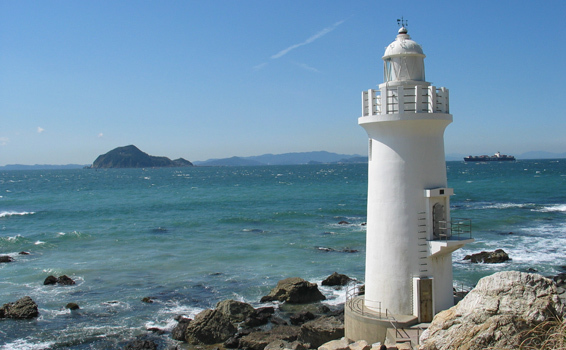 The white lighthouse that stands there has been selected as one of the unforgettable Top 50 Lighthouses in Japan. 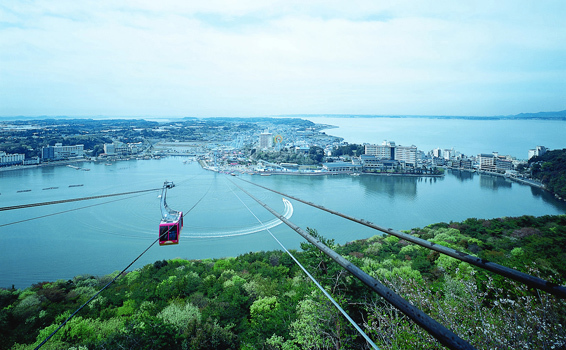 The Kanzanji Ropeway is the first ropeway in Japan to pass over a lake. A panoramic view of Lake Hamana, the Pacific Ocean and the magnificent natural landscape of Mt. Okusa spread out before your eyes. The area around Lake Hamana is the birthplace of eel farms where Japan’s first eels were cultivated in artificial ponds dug near the lake’s shore. 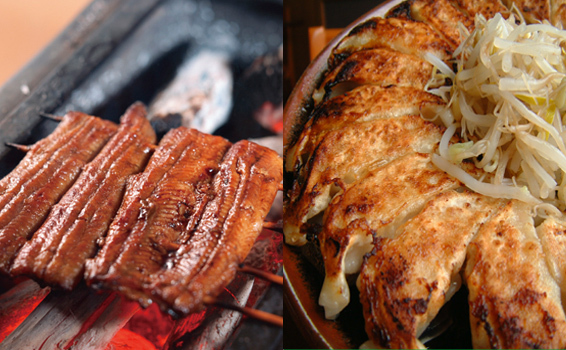 As Japan’s leader in taste and shipping volume of eel, this area is dotted with many famous eel restaurants. Hamamatsu also ranks near the top in terms of Japanese cities with the highest gyoza consumption. Recently, “Hamamatsu Gyoza” has been recognized on a nationwide level as local gourmet fare. Its popularity is due to the ample cabbage and onion filling, and its light flavor making it easy to eat. 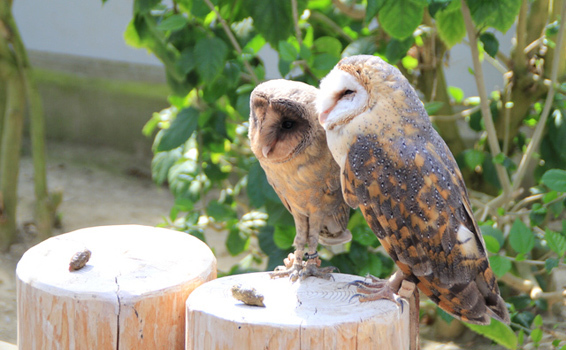 Kakegawakachouen is a theme park where you can enjoy interacting with flowers and birds. Equipped with the largest greenhouse in Japan, visitors can enjoy flowers galore all year long. 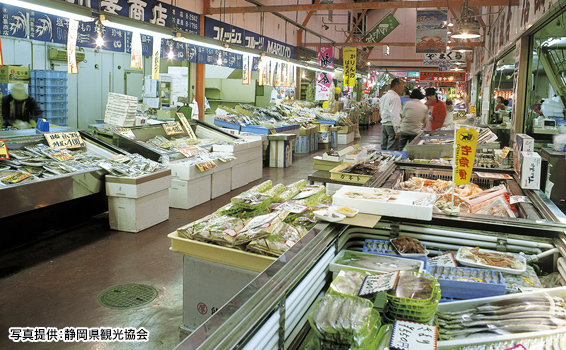 Boasting among the largest fish hauls in Japan, the Yaizu Sakana Center sells the seafood landed at the Yaizu fishing harbor. The fresh tuna and bonito served at the restaurant in the center are exquisite. Nihondaira is a plateau at an elevation of 307 m with a spectacular view of Mt. Fuji beyond the Suruga Bay. 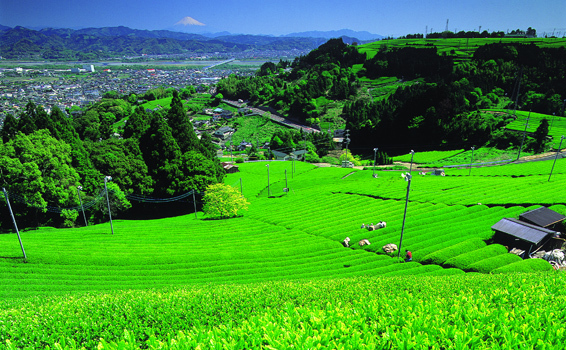 The plateau is covered by vast tea fields which provide a strikingly beautiful contrast to Mt. 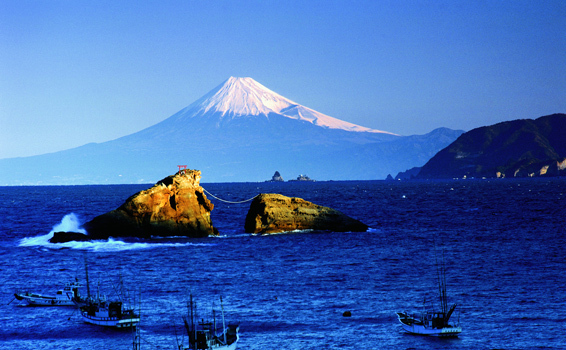 Fuji and the sea, earning the area the status of national site of scenic beauty. Mt. Fuji is the highest mountain in Japan at 3,776 m and is considered a symbol of Japan’s abundant nature. With its beautiful cone shape and ever-changing appearance depending on the season, place and time of day, this is one of Japan’s premier sightseeing spots. Mt. Fuji and its environs, which are designated as a national park, is a natural treasure trove for people wishing to enjoy outdoor sports and hot springs. Registered as a World Cultural Heritage site in 2013, Mt. Fuji is attracting increasing attention from the world. 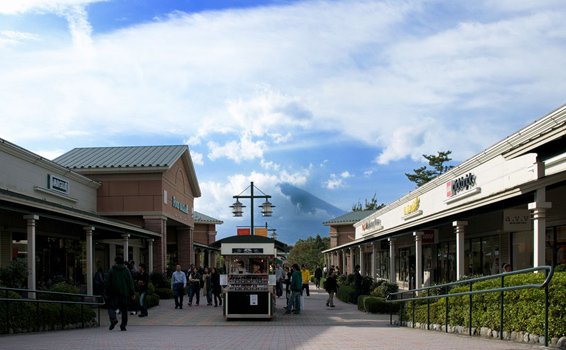 Gotemba Premium Outlets is one of Japan’s largest outlet malls featuring approximately 210 stores. Grinpia Makinohara offers tours of its Japanese tea manufacturing plant, a defining aspect of Shizuoka which is a key tea-producing area. Harvesting the tea wearing the tea-harvesting uniform is another popular activity among visitors. 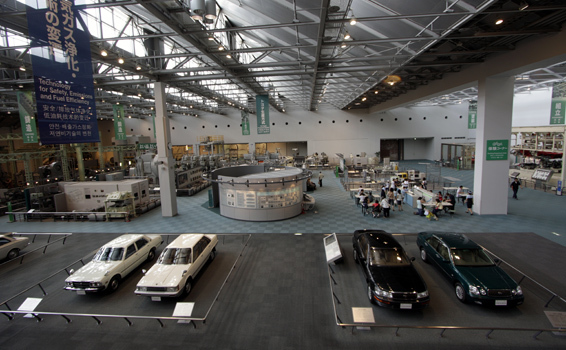 The Toyota Automobile Museum was founded by Toyota Motor Corporation. 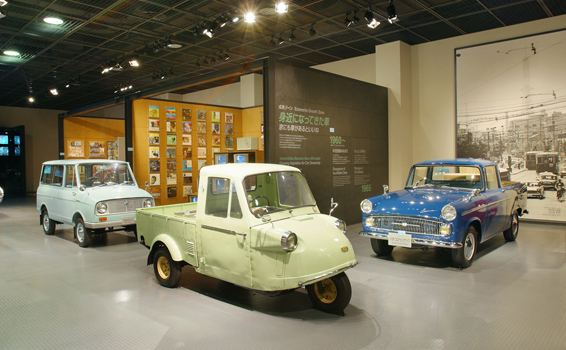 The museum exhibits about 140 vehicles including Toyota-manufactured cars as well as prominent cars from around the world. The cars are displayed systematically by country and manufacturer to highlight the historical transitions of automotive cultures and technologies. Most of the cars on display are in working order and are driven around the museum grounds during events. The planned exhibitions and seasonal workshops that are held three to four times a year are a hit among children. Noritake Garden is a commercial complex founded by Noritake, one of the world’s largest manufacturers of high quality china and porcelain. 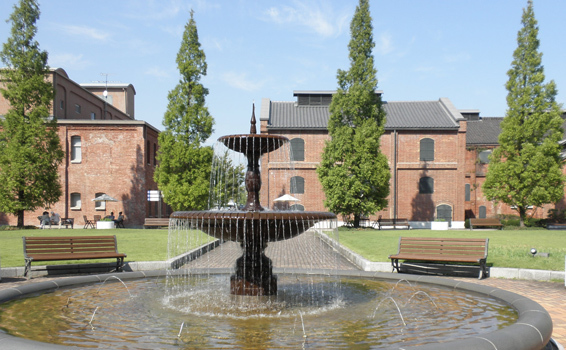 The facility features a museum showcasing Noritake masterpieces, a restaurant and café. With exhibits mainly focused on textile machinery and automobiles, the museum displays about 150 actual machines in working order to highlight the historical transitions of manufacturing. 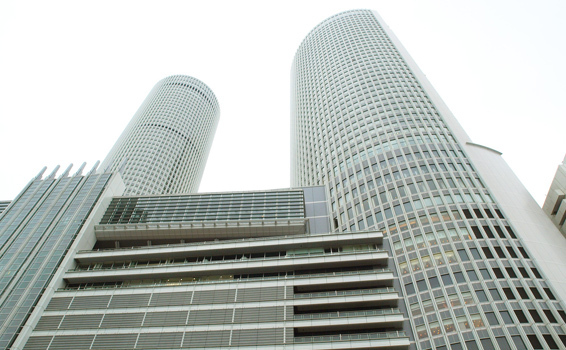 The JR Central Towers is a commercial complex located atop the Nagoya Station and featuring a department store, hotel and restaurants. The high-rise building, which consists of two buildings, one with 53 floors and the other with 51 floors, is the world’s highest station building at 245 m tall and is a popular landmark in Nagoya. On the 51st (uppermost) floor of the office tower is the Panorama Salon, comprising an esthetic clinic, beauty salon and cafeteria, where the general public can also enjoy the spectacular view. 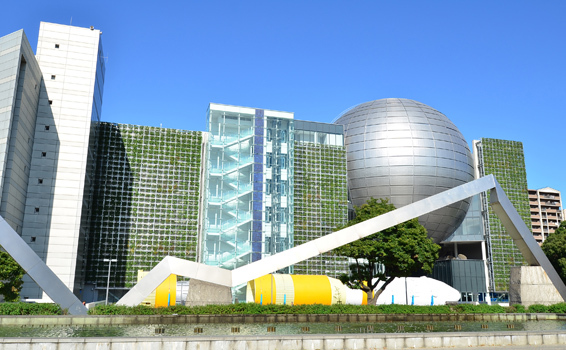 The Port of Nagoya Public Aquarium is one of Japan’s largest aquariums. 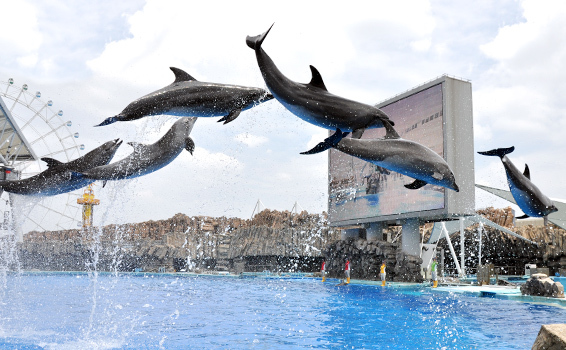 See marine mammals such as dolphins and belugas and enjoy dolphin performances. 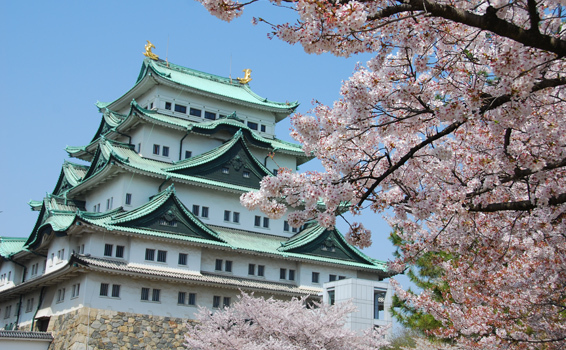 Constructed in 1612 under the orders of Tokugawa Ieyasu, founder of the Edo Shogunate Government, Nagoya Castle has a history spanning 400 years. The golden Shachihoko adorning the roof of the castle tower is one feature in particular that is regarded as one of the symbols of Nagoya, the largest city in Central Japan. Exhibited inside the main castle tower, you will find Important Cultural Assets and historical records, an area featuring a recreation of the historic townscape of the castle town, and a life-sized replica of the golden Shachihoko. The observation deck offers a panoramic view of the town of Nagoya and the lush greenery of Meijo Park below. 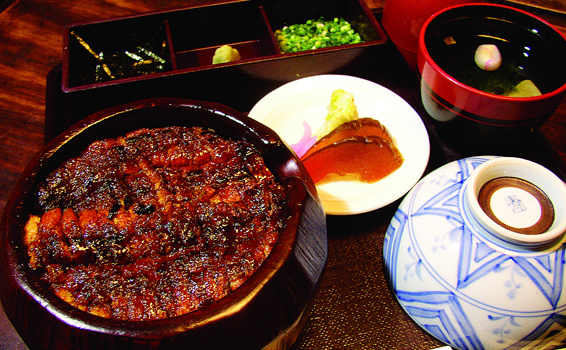 “Nagoya-meshi” refers to cuisine unique to Nagoya and surrounding areas and includes such dishes as Miso-katsu—pork cutlet served with thick miso sauce, and Hitsumabushi—thinly-chopped grilled eel on a bed of rice. *If you would like to use a Central Nippon Expressway Pass, please tell the staff when you make your rental car reservation.